The Emirates is one of the newest stadiums in the Premier League but has managed to develop a fascinating history already. Arsenal’s new home has seen success, frustration and controversy. You can make profit on their next matches if you wish! Check out our betting tips for football and be in on the chance of winning some extra cash. As the history of the Emirates stadium continues to be written, let’s take a look at what has happened already. Emirates Stadium, or Ashburton Grove as it was known before sponsorship, opened it’s doors for the first time on the 22nd of July 2006. Located in Holloway, London, it is situated just a short mile away from Arsenal’s old grounds, Highbury. After developing Highbury was rejected multiple times by the local council, the FC bought a plot of industrial waste land with the intention of building a brand new purpose-built arena. The grounds that would later become Emirates was fraught with financial difficulties and complications and this would have a knock-on effect for The Gunners’ squad. 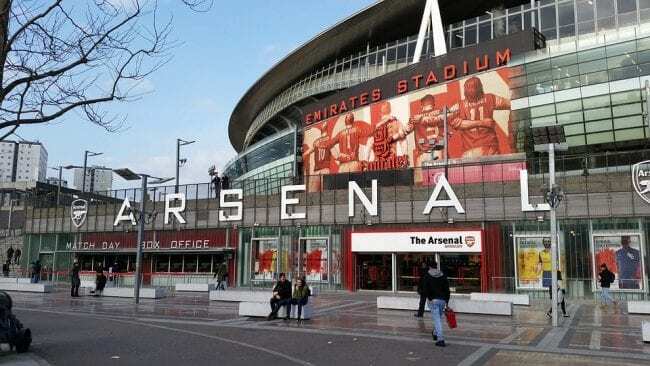 Ground was broken in 2002 but The Gunners didn’t move in fully until 2006. The Emirates Stadium capacity was a huge step up from the capacity of Highbury. Emirates has a current capacity of 59,867 which makes it the third-largest football stadium in England. This is the third largest football stadium after Wembley Stadium and also Old Trafford. Prior to moving into The Emirates, Arsenal called Highbury stadium their home for 93 years. Highbury regularly attracted crowds of 60,000 with its record attendance standing at 73,295. With the introduction of the Taylor report in 1990 that stated stadiums must be all- seated, this was significantly reduced to just 38,419. Trying to redevelop Highbury became a logistical nightmare for the team – it was surrounded by residential areas on all sides, and the Art Deco East Stand was a listed building and was therefore unable to be altered. The solution came in the form of The Emirates and The Gunners waved goodbye to Highbury. Today, the site is a housing development that was funded by the team known as Highbury Square, and the East Stand has been turned into flats. Profits from Highbury Square went into funding the new stadium. You can also find out about various other stadiums on our site. The history of the Etihad Stadium is a popular topic many people are interested to know more about. Arsenal FC are an extremely successful team and their fans have high expectations. They regularly challenge for silverware and have won the second-most top flight games in English history and are the only English club to go 38 league-matches unbeaten. They have undergone many name changes including Dial Square, Royal-Arsenal, Woolwich-Arsenal, and The Arsenal, before phasing out the ‘The’ part to become simply known as Arsenal. They have seen both significant success and frustration under coach Arsene Wenger; success because they have won a lot of silverware under him, and frustration due to the relocation to The Emirates. This lead to Wenger having little or no money to invest in the squad and selling some of their best players. Fans were understandably angry by this but this frustration has cooled over time. If you are a fan of this football club, you might want to place bets on them whilst watching their matches. We know all of the best football betting websites in the UK, so make sure to bet here. ‘Le Professeur’ is Arsenal’s longest-serving and most successful manager, Arsene Wenger joined the team as manager way back in 1992 – only Sir Alex Ferguson has managed one team for longer. The controversial Frenchman has overseen a revolution at Arsenal; he brought an exciting, attacking brand of football to the UK, he improved fitness of the squad so dramatically that the rest of the Premier League took notice, and as a result has brought them considerable success. No one has done more to write the history books of Highbury and The Emirates than Arsene Wenger. He has presided over an Arsenal team that remained unbeaten for an entire season, something that has never been replicated in England since. He has won the Premier League 3 times, the FA Cup 7 times, the Community Shield 7 times and has been named the Premier League Manager of the Month 15 times. ‘The Gunners’ is the nickname given to Arsenal FC, and unsurprisingly, it is linked to their heritage. The team were put together by a group of workers from the Woolwich Arsenal armament factory, hence the nickname ‘The Gunners’. This theme is carried on into Arsenal’s crest which is a cannon. The fans are commonly known as ‘Gooners’, thought to be a play on the word ‘gunners’. So how many trophies have they won? The club has won an astonishing 13 League Titles, a record 13 FA Cups, 2 League Cups, The League Centenary Trophy, 15 FA Community Shields, 1 UEFA Cup Winners Cup, and 1 Inter-Cities Fairs Cup. Seventeen of these trophies have been won since Arsene Wenger became their manager. If you are betting on this FC winning more trophies, you might be interested to place a bet on at Paddy Power. Check out our Paddy Power review for more information. With all those trophies, it’s a safe bet that the Emirates Stadium Tour would be a great day out for all the family. The tour provides you with branded headphones and a commentary by legendary Arsenal player Bob Wilson. Tickets can be purchased on the day, though buying in advance would be advisable due to its popularity. Tickets are available here. There are a number of different Emirates Stadium events going on all the time. Of course, there are various football games going on constantly, but there are also concerts and other events due to the large capacity of the grounds. If you are thinking about going to one of the football events, we would highly recommend placing a bet to make the experience even more exciting. You can find the best betting sites on our website, or you may be interested in going into an actual bookies. Coral is one of the favourites for football bettors. You can find your local Coral shops easily, so take your time on deciding whether you would prefer to book online or go into a shop. You can find the Emirates Stadium tickets on their official site. If it is Arsenal you are looking to buy tickets for, you can also find tickets on Arsenal’s website. You might also find it to be a good idea to go on comparison sites in order to find the very best prices for the tickets. Speaking of safe bets, knowing who they have next in the fixtures list will help you to place one with all the latest team news at your disposal. To keep up with the very latest Arsenal news, why not go straight to the horse’s mouth and take a look at www.arsenal.com. 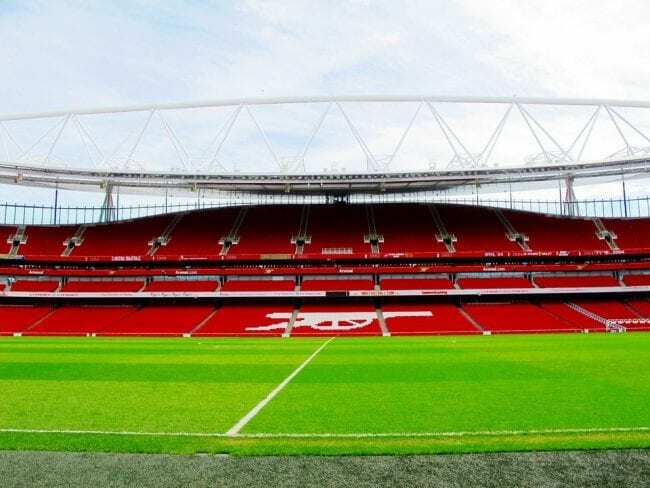 The official website of the Gunners is home to a wealth of breaking news, transfer news, the history of The Emirates stadium, players past and present and much, much more.